Q: Where should I park when I arrive on campus? A: Please see parking information. Q: What is the College’s alcohol policy? A: Please see Homecoming alcohol guidelines. Q: What is the College’s tailgating policy? A: Please see Kalamazoo College’s Athletics Tailgating Policy. Q: What should I wear during Homecoming Weekend? A: Michigan weather is always unpredictable, so come prepared! For most of the weekend, casual dress is appropriate, although many alumni prefer to dress up for their class reunion celebrations. Orange and black and other “spirit wear” is always encouraged! 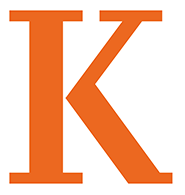 Visit the Kalamazoo College Bookstore to purchase K gear. Q: How do I register for Homecoming events? A: Online registration opens in September. Q: The campus has changed since I was a student! How can I find my way around and visit the new buildings on campus? A: Please see campus information. Q: What lodging opportunities are available during Homecoming and Reunion Weekend? Q: Where can I find a listing of local Bed and Breakfasts in Kalamazoo? A: Please see lodging, other lodging. Q: Where can I find a local babysitter? A: Due to liability concerns, Kalamazoo College does not provide a list of available babysitters for Homecoming Weekend. However, guests who would like more information on hiring a K student to babysit may contact the Office of Alumni Engagement at 269-337-7300. Q: Is there a quiet place on campus where I can nurse my baby or pump? A: There is a nursing room located in room 309 in the Upjohn Library. They key to the room is available at the Library Circulation Desk. Q: I have mobility concerns. What is the best way to get around campus? A: Most campus buildings where Homecoming events will be hosted are fully handicap-accessible. See this complete list of campus building accessibility and suggested parking. Q: What do I do if I have a food allergy and would like to attend the Homecoming picnic or my reunion dinner? A: We will do our best to accommodate guests with food allergies. To make special arrangements, please contact the Office of Alumni Engagement at 269.337.7283 or abitzer@kzoo.edu. Q: How do I find out who else from my class is attending my reunion? A: A “who’s coming list” will be posted online for each reunion class after registration is open. The lists are updated daily, so check back often for updates! Q: What should I do if I have an emergency or safety issue during Homecoming Weekend? A: Please see safety and security. Campus Safety may be reached at 269-337-7321. Call 911 in an emergency. Q: I’m bringing my child who is interested in attending Kalamazoo College. Can I arrange a meeting with Admission during my visit? A: Guests are welcome to contact the Admission Office to set up a visit for prospective students! Visit the Admission website or call 269-337-7166 to speak with an Admission staff member. Q: Where can my class host an informal gathering off-campus? A: Suggested off-campus local restaurants and bars. *Dates are subject to change per the MIAA schedule.